Every year, we read the same disappointing story: female directors are repeatedly being excluded in Hollywood. If nearly half the population identifies as female, why in 2017 did we only see 11 percent of studio films directed by women? The frustration and discouragement which comes with this form of systematic discrimination is felt across generations, including those just now entering the field. Amy Adrion graduated from UCLA’s MFA directing program and received awards from the Directors Guild of America as a student filmmaker. Yet, she and many other women were struggling for opportunities to land directing jobs. 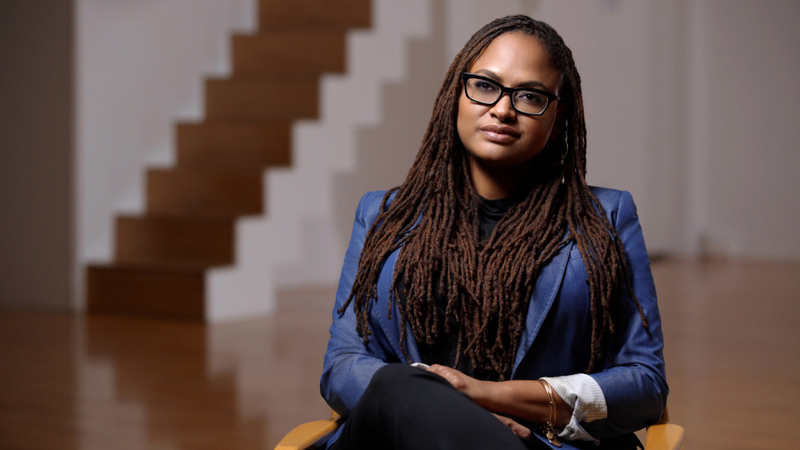 So she turned her camera on female directors who had come before her (including Ava DuVernay, Patricia Riggen, Penelope Spheeris, Mary Harron, Martha Coolidge, Gina Prince-Bythewood, Kasi Lemmons, Catherine Hardwicke, Karyn Kusama and Miranda July) to tell their stories of success and struggle in Half the Picture. Lesley Coffin: What motivated your decision to make this documentary? Was there a specific news story or study that initially sparked your imagination or were doing research at the time? 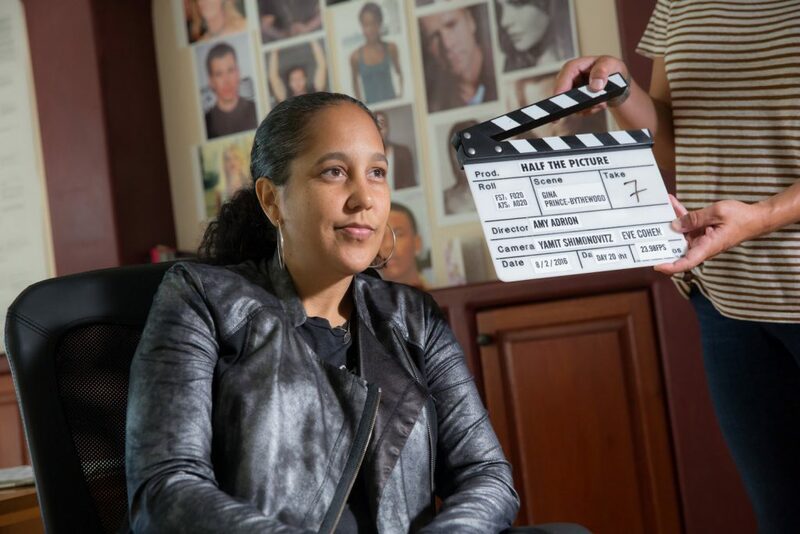 Amy Adrion: Being a female director myself, I had graduated with an MFA in directing but after I’d completed my degree, I had trouble getting my narrative career going. And a number of my female friends from grad school were confronting the same problems, either not getting their film made or getting their films made for zero money. And also around that time I seemed to be reading daily articles about the low numbers of women directors and statistics and research that were coming out. And right around that time was when the ACLU started their investigation into systemic discrimination against female directors. So there seemed to be some movement that meant something was actually going to happen. I started doing a lot of research in the spring of 2015 and in the summer of 2015 was when the EEOC started their investigation into widespread employment discrimination. Lesley Coffin: The women in the film all discuss how they started and their first opportunities, but also where the roadblocks came. Clearly a lot of women are getting the education, so where and when do you think the problems start? Amy Adrion: It’s true that women are graduating from film schools at really high numbers and involved in mentoring and shadowing programs. So I think it really just starts at jobs, people need to give women jobs. There’s a reluctance to take a chance on a woman who may not have made a movie like it or on the same scale. And what was really interesting was hearing women talking about making independent films that were nominated for major awards but were unable to land TV jobs because they hadn’t worked in TV before. That’s a problem where the person doing the hiring needs to open their mind and see that one does qualify them for the other. Lesley Coffin: Did you hear the same names and companies guilty of these hiring practices come up over and over again during the interviews? Amy Adrion: Not specifically, but the stories were certainly familiar. 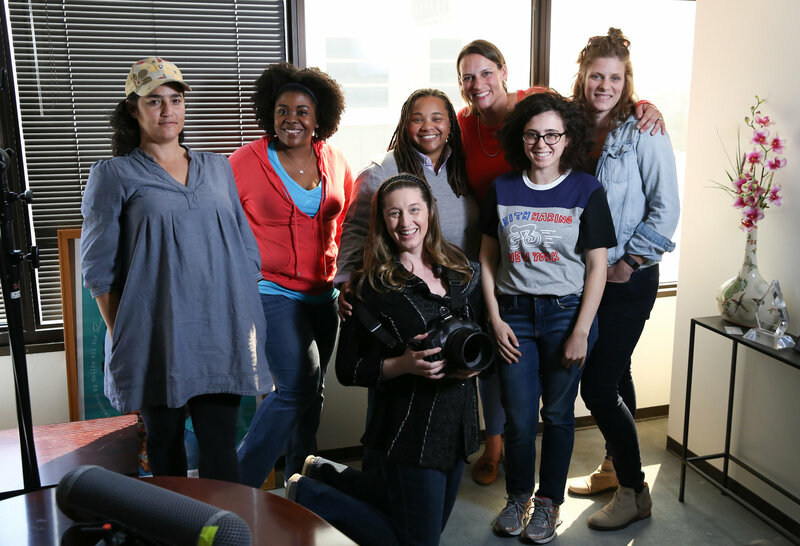 You kept hearing women talk about directing one, two, three indies, receiving great acclaim, but meeting producers who felt they didn’t have enough experience to work on a TV job or a film with a larger budget. And they didn’t say “this specific guy doesn’t hire women.” They said they were told to come back once they had more experience, even though they already have experience. And poor Colin Trevorrow has become the poster boy for this but we see over and over again that at the hiring level, men are hired based on their perceived potential and women are hired based on experience. Lesley Coffin: How many women did you actually interview from the film? Amy Adrion: I actually don’t know off the top of my head. I think it was about 29 directors and 10 or 15 other experts in the field. Lesley Coffin: How did you approach the directors to be interviewed? Amy Adrion: The wonderful thing about this specific film was, it was largely self-financed, which meant it was also self-generated and self-directed. We didn’t have much financial support which meant I could simply go down the list of filmmakers I had loved and reach out to them personally. I grew up watching a lot of their movies so I approached people whose work I had a very deep connection to. People like Martha Coolidge who made Valley Girl was a no-brainer. Love and Basketball by Gina Prince-Bythewood was a film I remember being wowed by seeing in the BAM theater in Brooklyn. So most of these were women I personally admired. And I was really pleasantly surprised that nine times out of 10 of the women, when I reached out to them, said yes. I think women have been hesitant about talking about these issues for a long time, we started filming in 2015 before the #MeToo and TimesUp movements and Harvey Weinstein had happened. But they were excited to sit down and talk about their work and careers. Lesley Coffin: You address the issue of sexual harassment in the film, but as those news events were happening while interviewing or editing, did you considering focusing more on those topical events? Amy Adrion: It was certainly an interesting time to be making this film and conversations kept evolving. I wasn’t even sure I wanted to include a section of sexual harassment in the film just because I wanted the focus of this film to be on the achievements of these directors and a celebration of their work. And yes we wanted to focus on what they’ve had to overcome, but once you start getting into the subject of sexual harassment, that can really create a cloud over the rest of the film. But because of all the news coming out at the time, we ultimately decided it was a subject we had to address. We don’t really discuss Harvey Weinstein specifically, but it’s interesting that he was at all those film festivals where these women were premiering their indies. And women were saying that even after they won awards, he wasn’t interesting in working with them or giving them opportunities. That was the context they referred to him in, but even that’s enlightening. He was one of the guys who was considered a hit maker, a person deciding the directors to pluck out of Sundance to make the next big movie. So to hear that one of the most important people at Sundance was engaging in this behavior reveals a lot about the culture. Did he even look at women like Patty Jenkins or Kimberly Peirce and see them as artists? I don’t know. Lesley Coffin: The interviews are sometimes very inspiring and fun, but a lot of women spoke of their painful experiences. What was it like to sit with these women and conduct those interviews? Amy Adrion: The interviews were a little piece of heaven for me because these are incredible women I’ve admired for ever, so the chance to sit with them in their home or at their office and ask them anything was amazing. I had the freedom to ask so many questions and go in so many different directions, from how they got started to dealing with having kids to dealing with sexists on set. For the most part, they were pretty forthcoming and allowed me to ask them anything and were surprisingly candid. I would say that hearing about those challenging experiences was painful, and knowing that my heroes encountered similar issues to the ones I’d been experiencing was shocking. But seeing that they were still making movies and still fighting their own fight was also encouraging to me. Lesley Coffin: You mentioned that you were having difficulties getting a narrative financed. And you spoke with a documentary filmmaker Chris Hegedus about her experiences. Why do you think it’s easier for women to get documentaries made than to get narrative projects greenlit? Amy Adrion: The barriers for documentary films tend to be lower because documentaries are made on a smaller scale, with a smaller crew, and smaller budgets. It’s similar to the reason it’s easier for women to get indies made than it is to get studio films. It all comes down to money. It’s when you have projects which require more money that women tend to get weeded out.